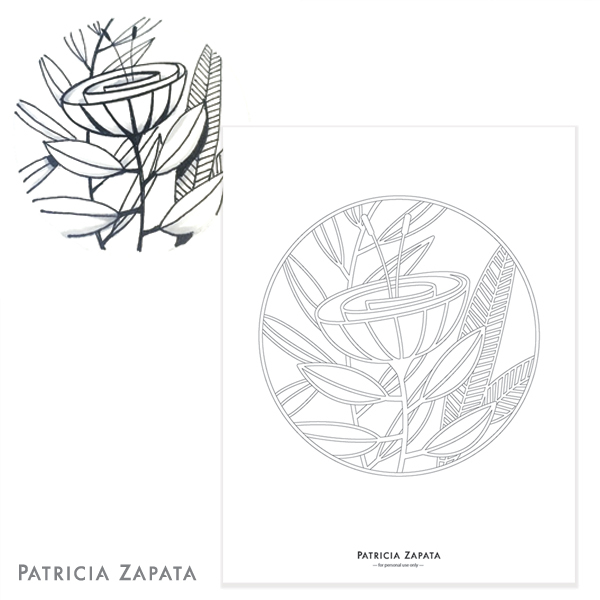 A Little Hut - Patricia Zapata: who wants to color? I was going to take the sketch at the top as inspiration for some 3D pieces, but now I don't have time to do that. Another project has taken the front seat. I may tackle it down the road, but for now I decided to share the image with any of you that would like to color it in or for those of you that would like to try some paper cutting. 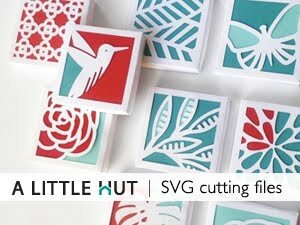 This would look amazing cut out by hand! Just make sure to print it on some sturdy card stock. Feel free to share your creations on my Facebook page or Instagram. I'd love to see what you do with this. More importantly, have fun! This is very pretty! Thank you!